Inflation is arguably the biggest challenge investors face longer-term aside from behavioral hurdles including regret, fear of missing out etc. 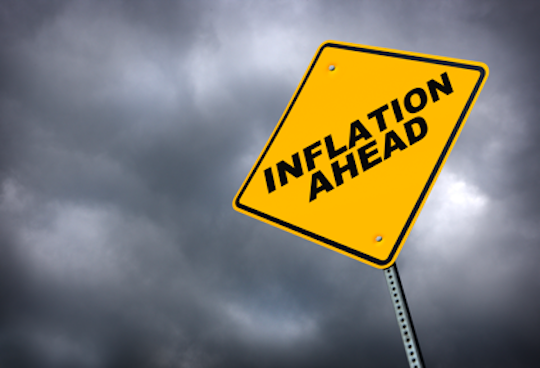 The good news is that inflation remains subdued with the rate currently below 2%1. This level is much lower than runaway inflation of the 1970s and early 1980s when the Prime borrowing rate notched 21.5% (Dec 1980) compared to a Prime rate of 4.25% today. In the early 80’s with the Prime rate peaking, a 30-year fixed-rate mortgage also topped 18.5% (including 2 points!)2. That should make everyone feel better about their current mortgage. Even with inflation close to generational lows, investors should be mindful of the corrosive effects on purchasing power over time. With checking accounts paying a measly 0.05%3 and using a current inflation rate of 2%, one is losing money in real interest terms. Real interest is defined by subtracting inflation from interest rates on deposits. In the earlier example of 0.05% interest, after accounting for 2% inflation, one is losing 1.95% a year in real terms. While savers can receive interest in a safe and federally insured checking account or CD, in real terms, the saver is actually losing money, albeit safely. 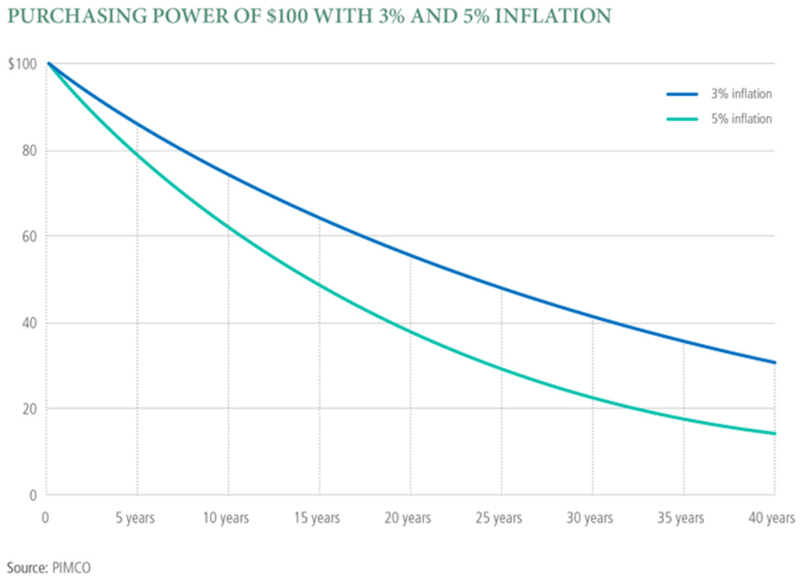 This is the “stealth” threat or thievery to investors longer-term as it erodes real savings and purchasing power which are critical ingredients for retirement investing success. A key retirement investing goal is to increase long-term purchasing power by generating a real investment return over time. 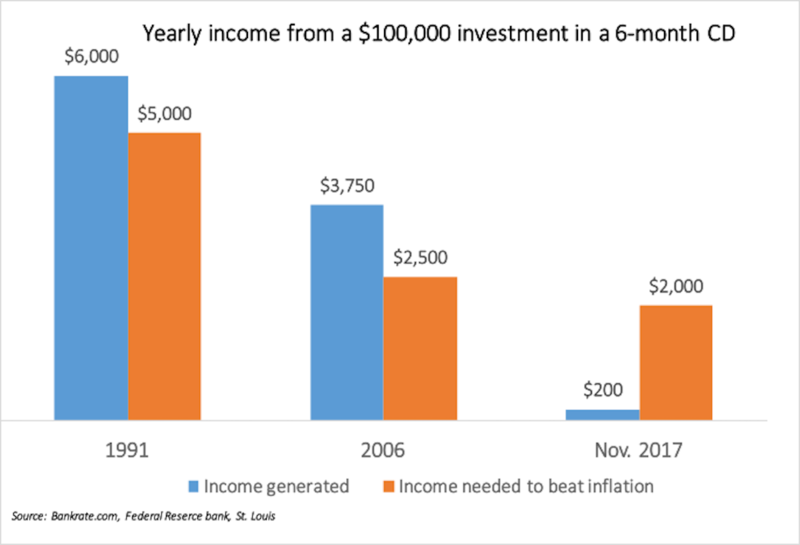 Putting in place a real savings and investment plan to prevent inflation’s thievery is an important first step. Many investment strategies are available today to help combat the eroding impact of inflation. Options include corporate bond funds, floating-rate bond funds, inflation-protected securities funds and possibly dividend growth oriented funds. Simply putting an inflation protection plan is an important first step to build the retirement peace of mind we're all seeking. 3. J.P. Morgan Chase rates as of 12/14/17.